World Travelers of America:.Preview and Download Advance Planning & Personal Security While Traveling In The U.S. This 13 page pamphlet is informative and enlightening to anyone who is planning a trip abroad. 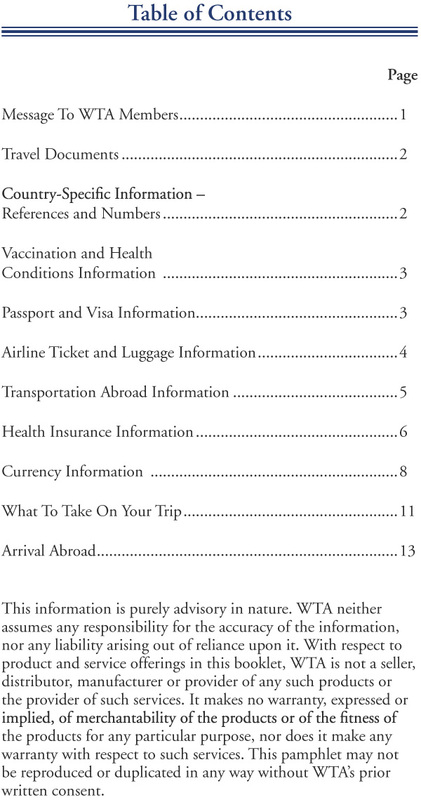 This 10 page pamphlet offers useful and enlightening information to anyone who is traveling in the U.S. The above pamphlets are only available to WTA members. If not a member, join WTA today at the special offer rate of only $15 and you can view or download this material plus gain full access to all of the WTA member benefits. If already a member, click here to log in.